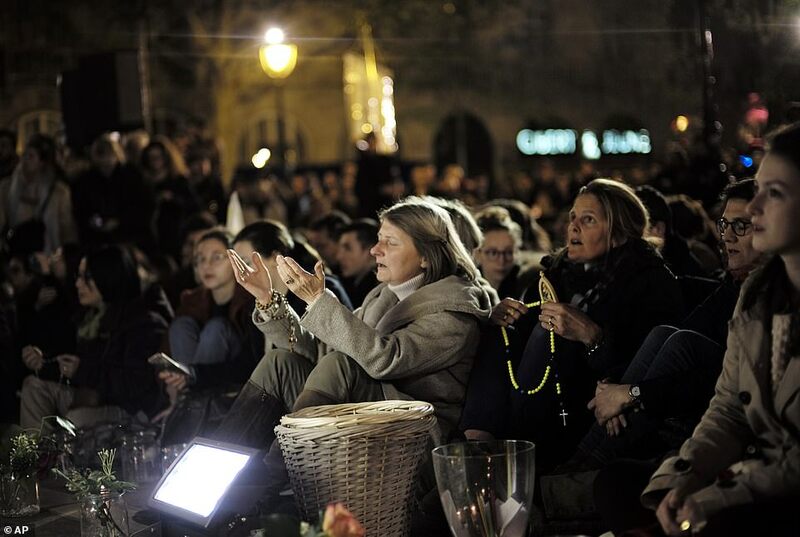 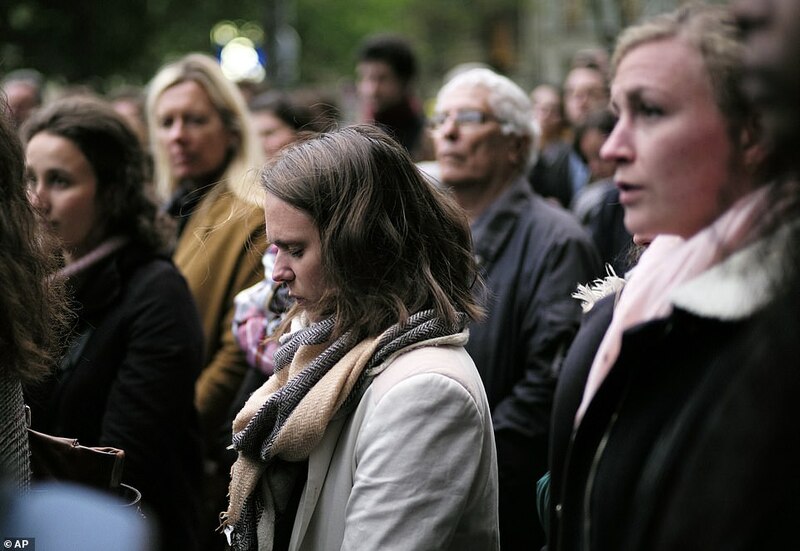 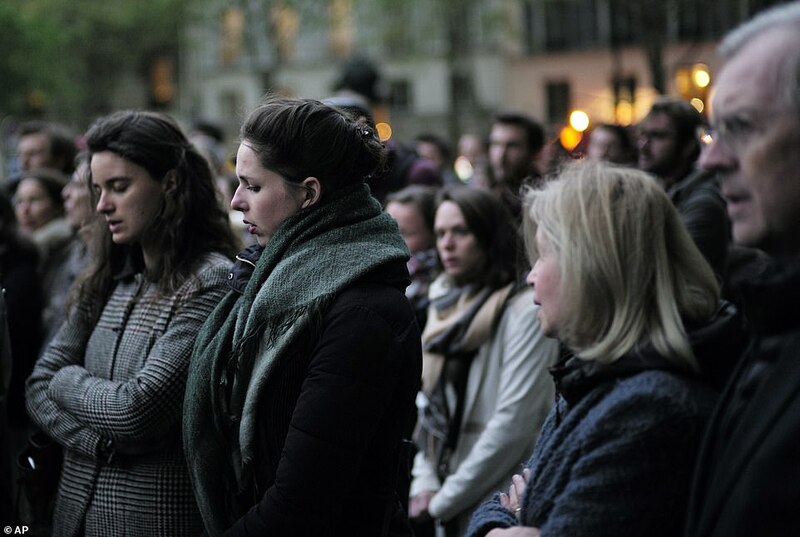 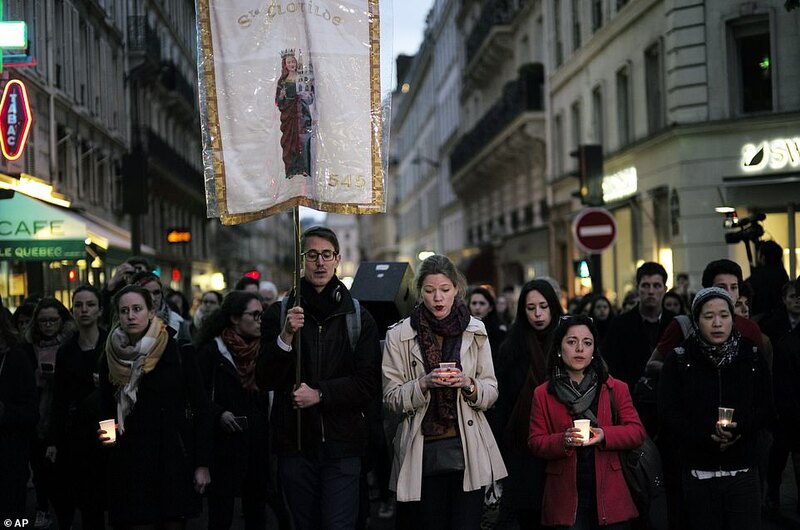 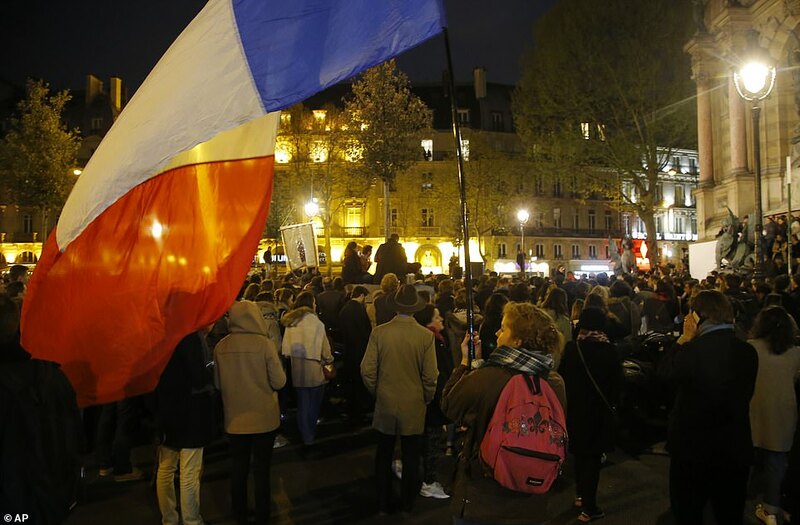 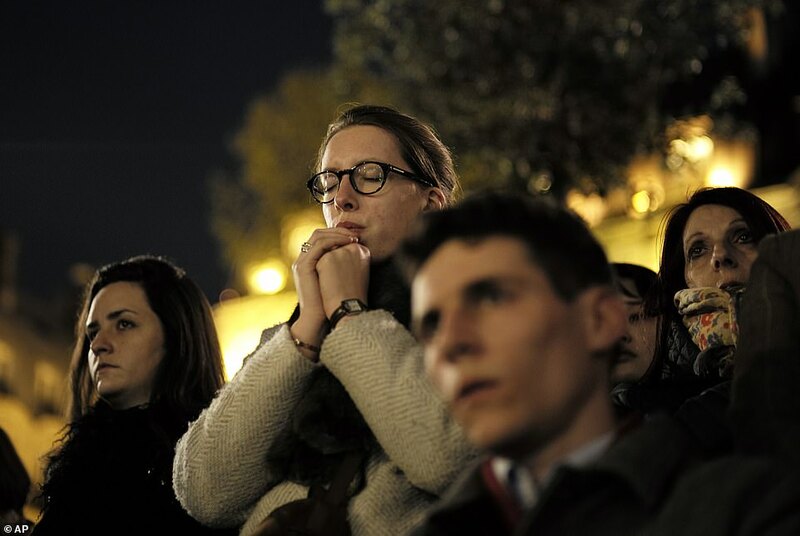 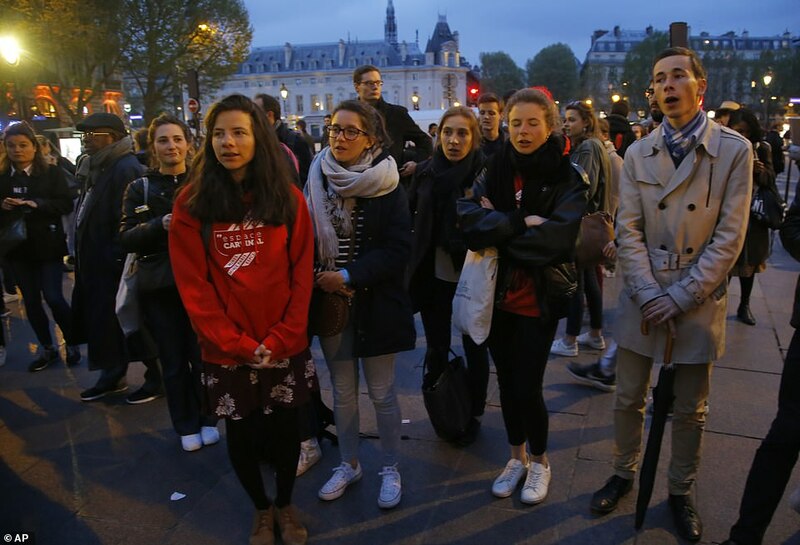 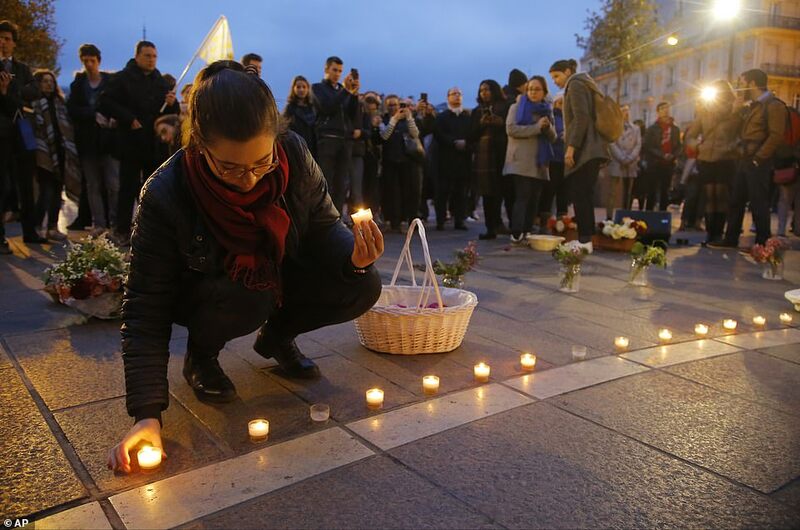 Parisians and tourists gathered outside the Notre Dame in Paris this evening for another candlelit vigil after a fire tore through the structure’s iconic spire and much of the roof last night. 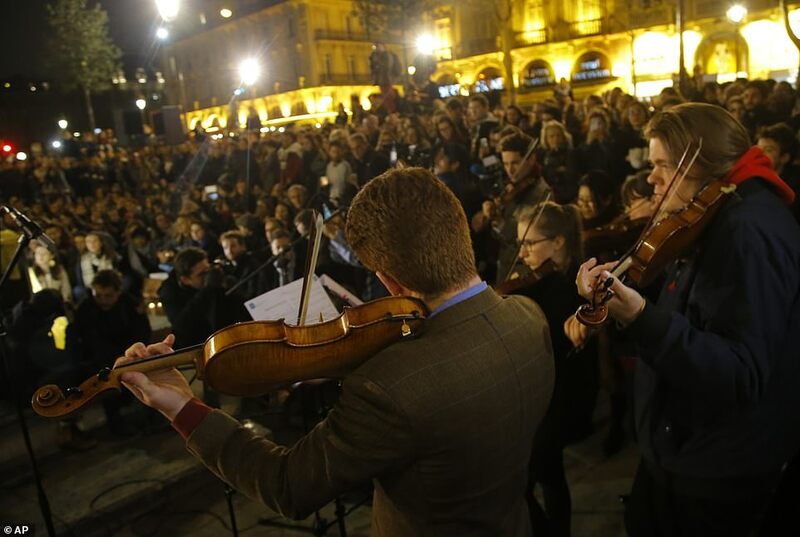 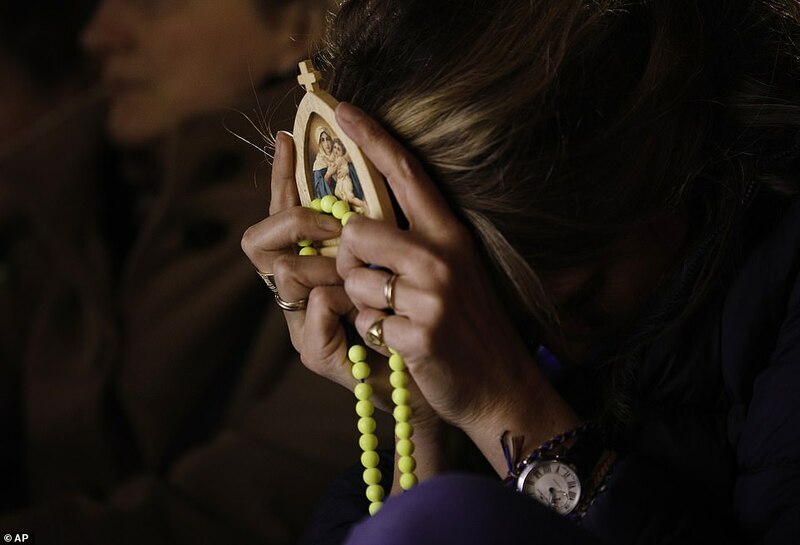 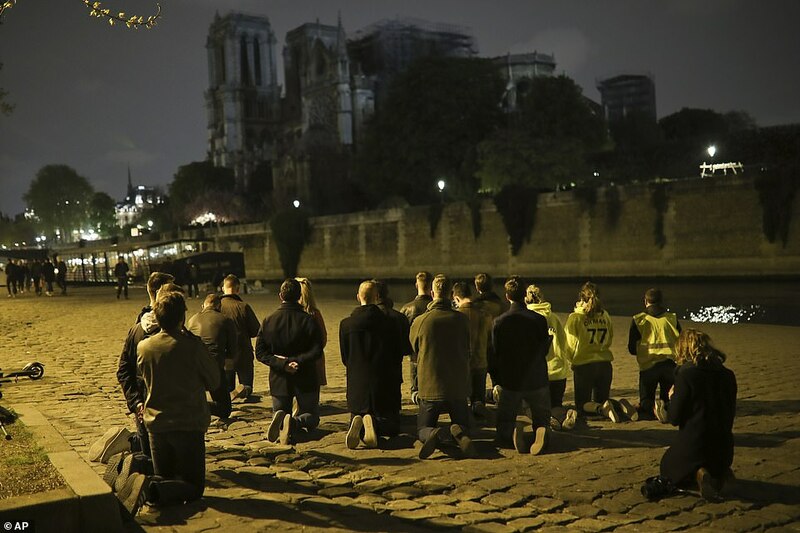 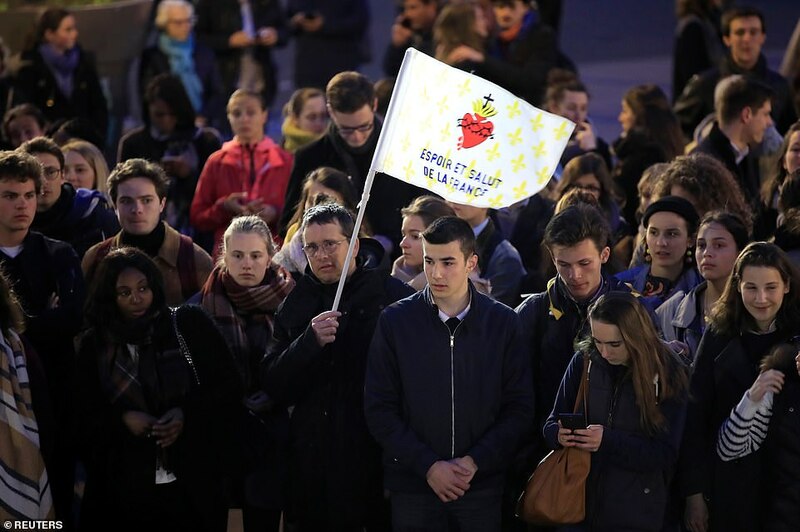 The vigil comes as footage of people softly singing the classic hymn ‘Ave Maria’ and kneeling outside the 856-year-old building during the 12-hour blaze last night went viral, racking up nearly 15million views. 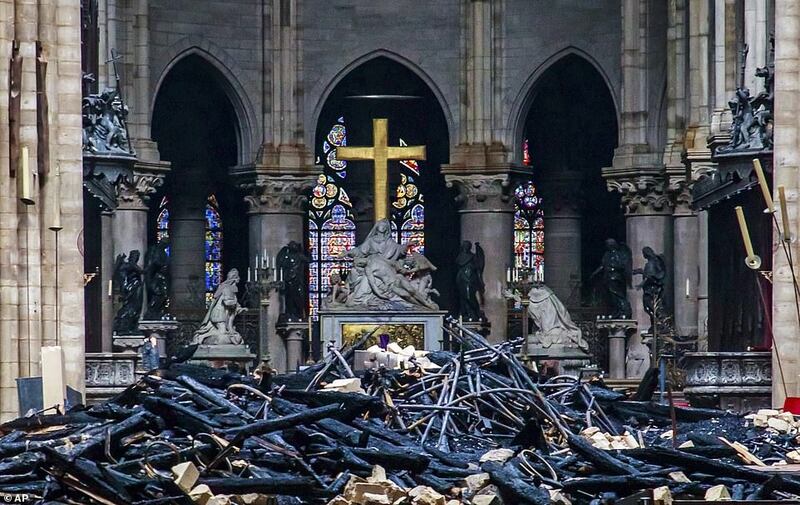 ‘Yesterday we thought the whole cathedral would collapse. 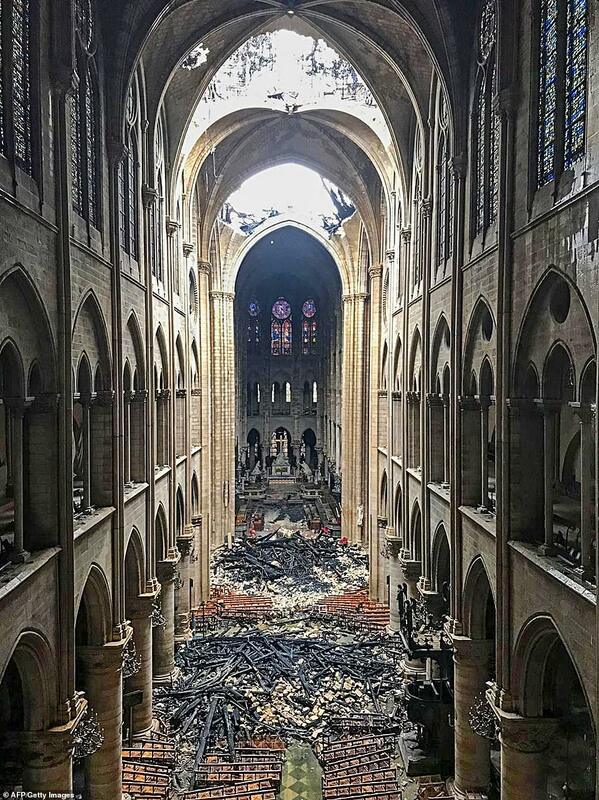 Yet this morning she is still standing, valiant, despite everything,’ said Sister Marie Aimee, a nun who had hurried to a nearby church to pray as the flames spread. 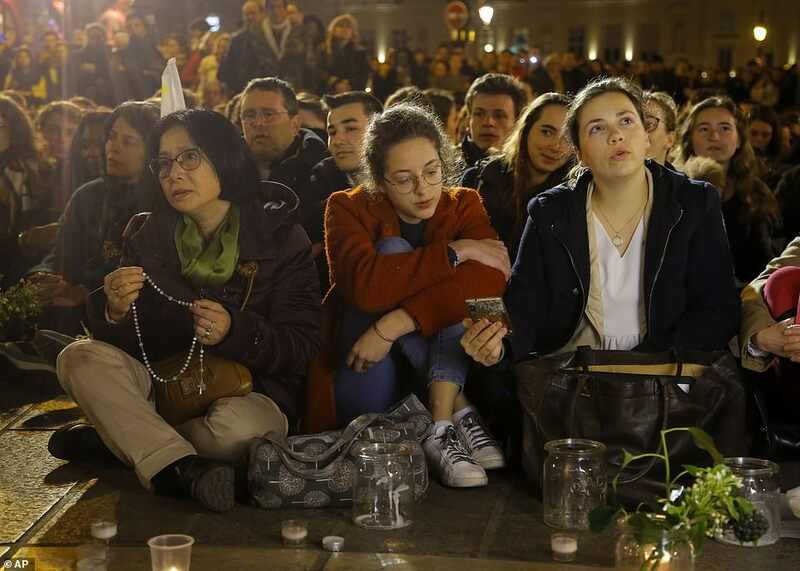 Organizers of tonight’s vigil said in a statement they want to show their attachment to Notre Dame. 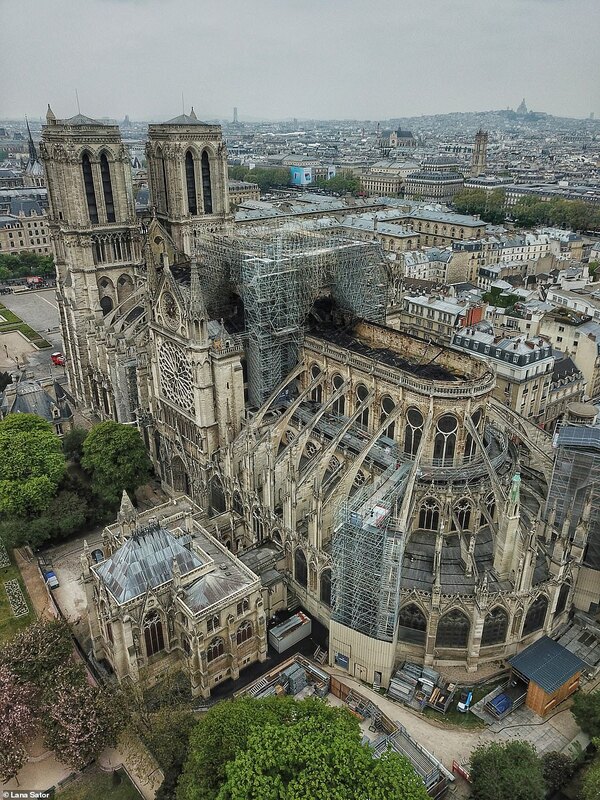 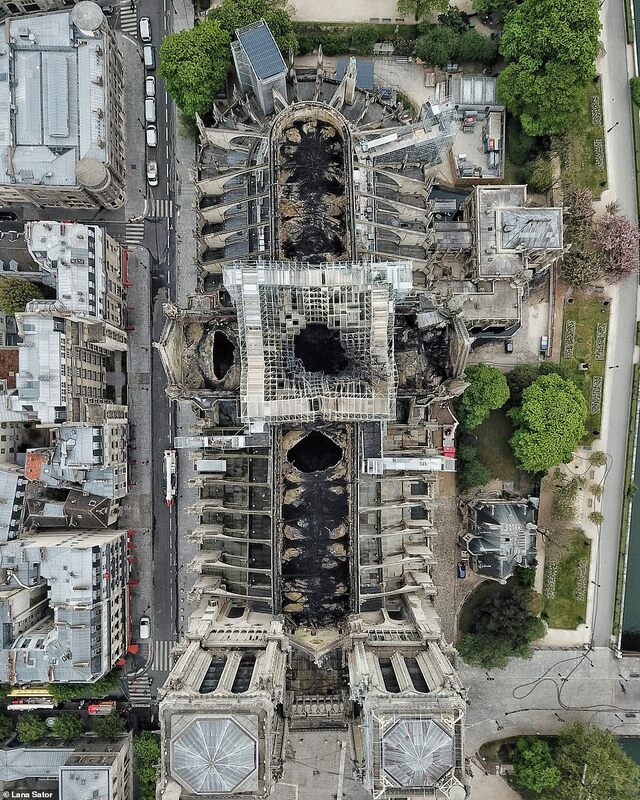 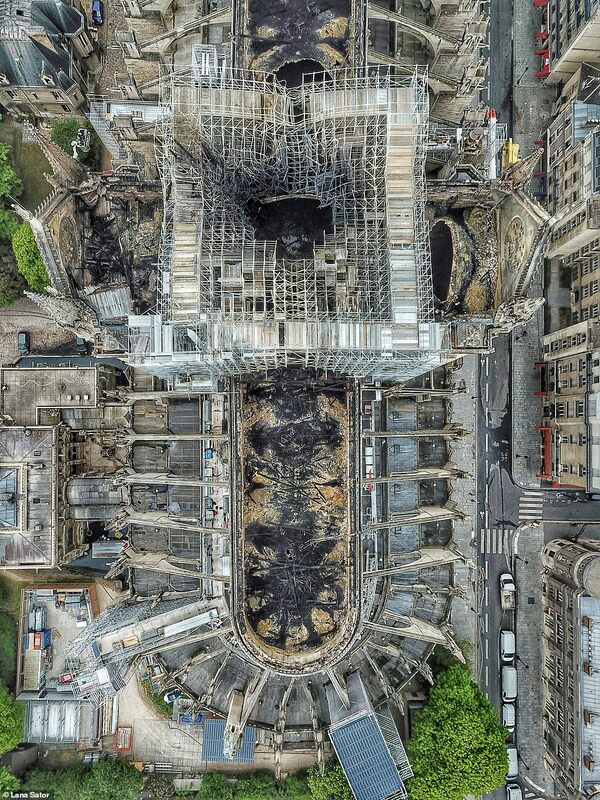 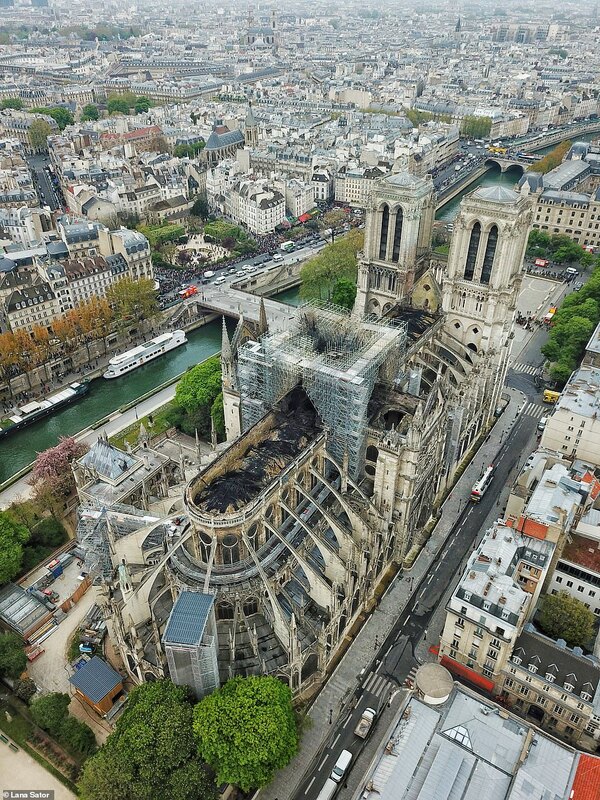 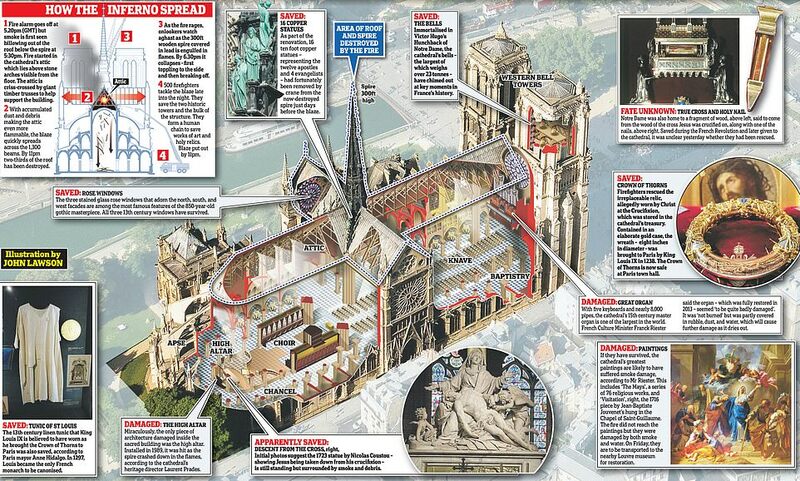 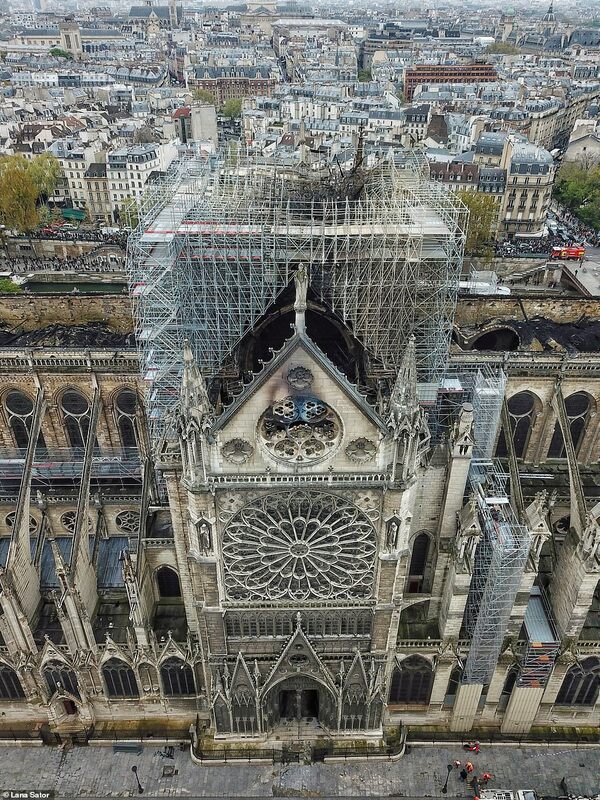 Paris prosecutor Remy Heitz said the inquiry into the fire would be ‘long and complex.’ Fifty investigators were working on it and would interview workers from five companies hired for the renovations to the cathedral’s roof, where the flames first broke out. 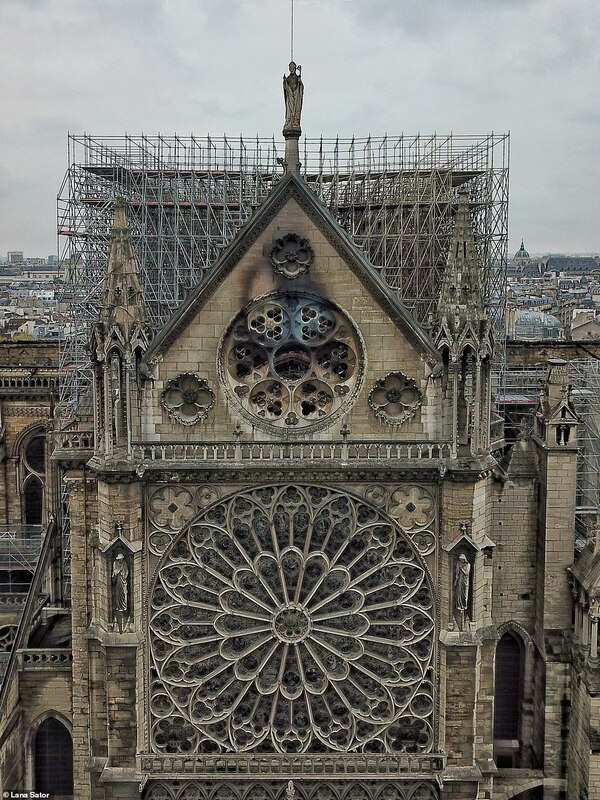 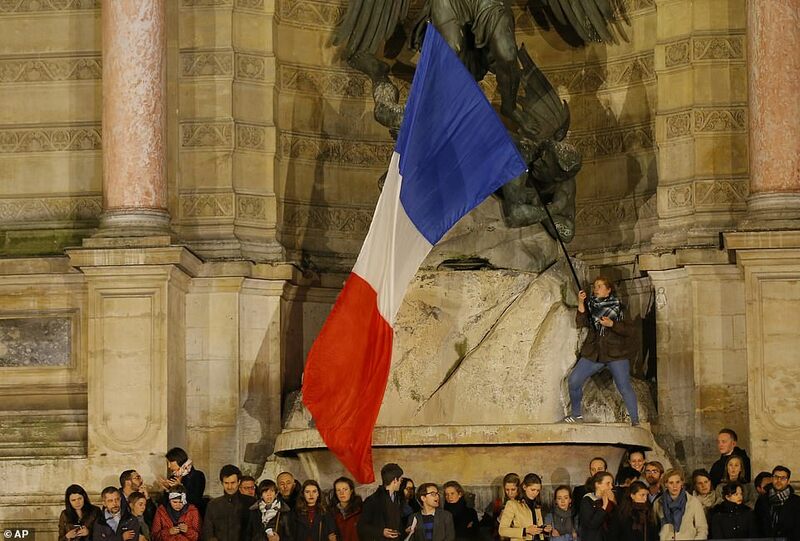 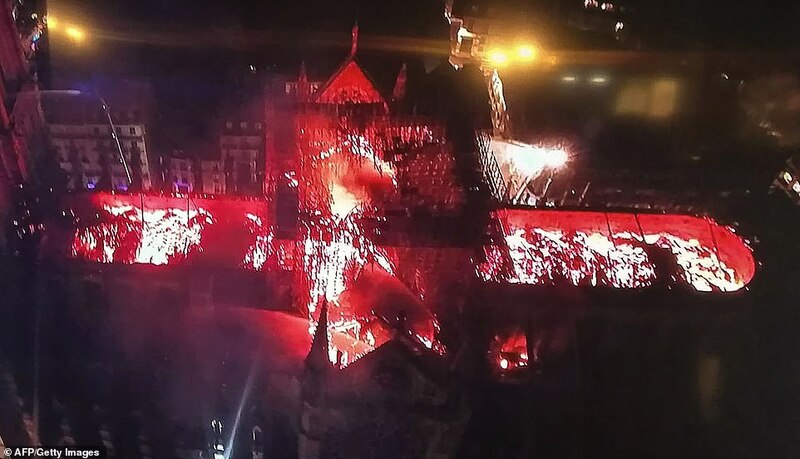 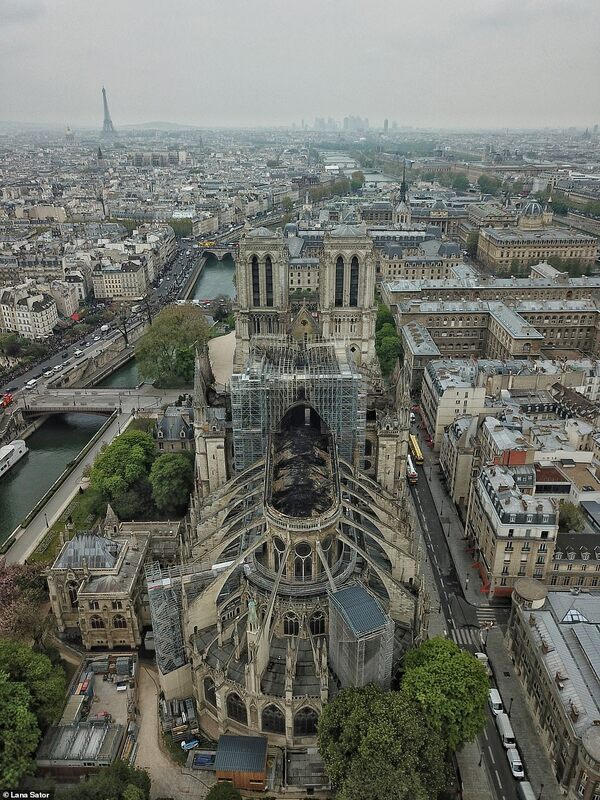 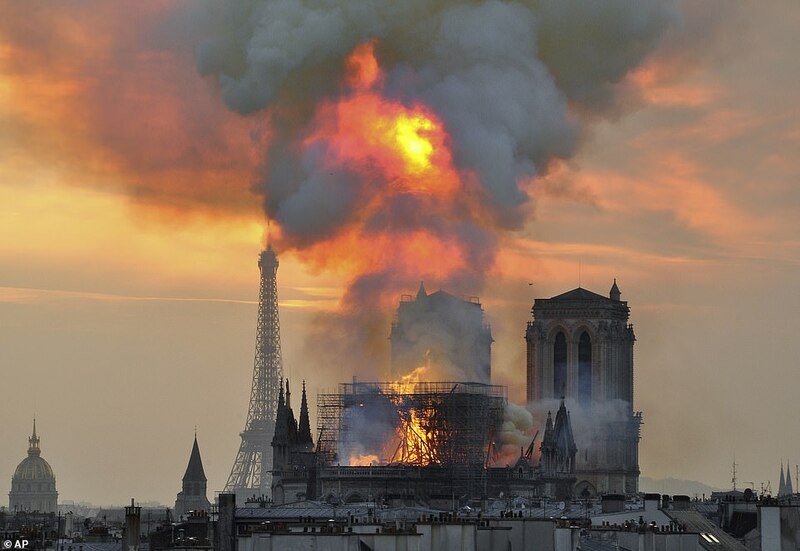 News that the fire was probably accidental has done nothing to ease the national mourning for the symbol of national pride immortalized in Victor Hugo’s 1831 novel ‘The Hunchback of Notre Dame’. 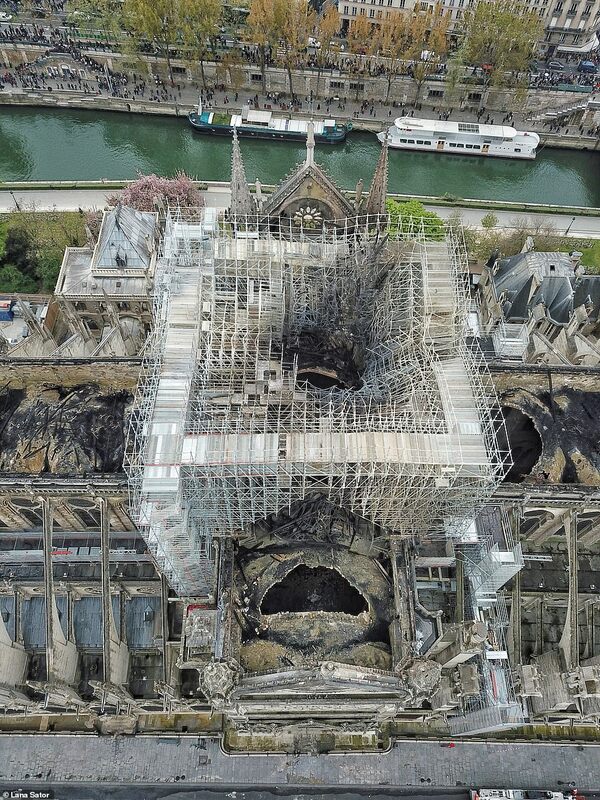 ‘Notre Dame has survived the revolutionary history of France, and this happened during building works,’ said influential former Culture Minister Jack Lang.